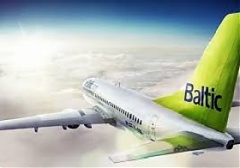 The Latvian airline airBaltic in January 2018 has transported 233 334 passengers or 24% more than last year to its network spanning Europe, Scandinavia, Russia, CIS and the Middle East. In addition, this is the record number of carried passengers in January in the history of the airline, informed BC the airline. Estonia's Alexela is to buy the natural gas portfolio of Adven Eesti and the latter is to buy Gaasienergia AS with the distribution network from Alexela based on a contract signed last week, informs LETA/BNS. The arrest of Bank of Latvia Governor Ilmars Rimsevics has nothing to do with the case of ABLV Bank or any other operating credit institution, Prime Minister Maris Kucinskis (Greens/Farmers) told journalists following a lengthy government meeting today, informs LETA. The Bank of Latvia has granted a EUR 97.5 million loan to ABLV Bank against a pledge of securities, the Latvian central bank said, cites LETA. Latvia's Alona Ostapenko and Canada's Gabriela Dabrowski on Sunday triumphed in the Qatar Ladies Open tennis tournament's doubles event, reports LETA. The presidents of Lithuania and Poland share a negative opinion on the Russian and German plans of building a Nord Stream 2 gas pipeline on the bottom of the Baltic Sea, informs LETA/BNS. The Latvian financial regulator, the Finance and Capital Market Commission, has ordered ABLV Bank to stop all payments, informs LETA.